A guide to find the best local gifts near you for your loved ones. Shopping and buying local benefits the community, giving its own identity. Could you think of anything worse than retail park after retail park, all the same stores? It also generates a feeling of communal involvement, whether it is buying a sandwich or maybe hiring a local expert to fix something. It all matters and it all helps. Think about the last time you went into a local store where you’ve been several times — if they don’t know your name, chances are they know your face and make conversation. You don’t get that at supermarkets or shopping malls, right. It’s nice, too. And you are more likely to find niche, specialist and artisan products locally. Stuff you just can’t find anywhere else and here’s the thing — these hidden gems actually attract people to your community, further bolstering the local economy and contributing to the local buzz. And, a booming local business wants everyone to know it’s supporting the people that are helping make it a success, so they are more likely to get involved in community projects or perhaps sponsor a local sports team. And you know what else? Local businesses tend to buy locally, too. More and more you’ll find ‘sourced from local farms’ or similar in cafes and restaurants, and that, in turn, means less carbon footprints because if suppliers are on the doorstep, there’s less transportation and fuel used. It also encourages entrepreneurship, innovation and creates jobs for the people in the community. It makes perfect sense to employ somebody who lives within a 10 to 15 walk or cycle ride — again, that means less pollution and those same employees are likely to eat locally at lunchtime and pop into the stores and businesses nearby. It goes on. This cycle keeps spinning for the benefit of the local community. And FlipNpik was created for exactly this. By downloading the FNP app, you are instantly opening a community window of opportunity as you flip through recommended local hidden gems. · Navigate through the FNP app and discover local shops. Flip right to save them in your library. · You can go on your news feed and discover local business around you on the map and or discover local shop posts on the mosaic and save post to build a gift list– places you want to buy stuff from or have people buy for you! And, if you’re not in town over Christmas, no worries — FlipNpik is worldwide and you’ll get the same great inside info on where to go, shop or eat. 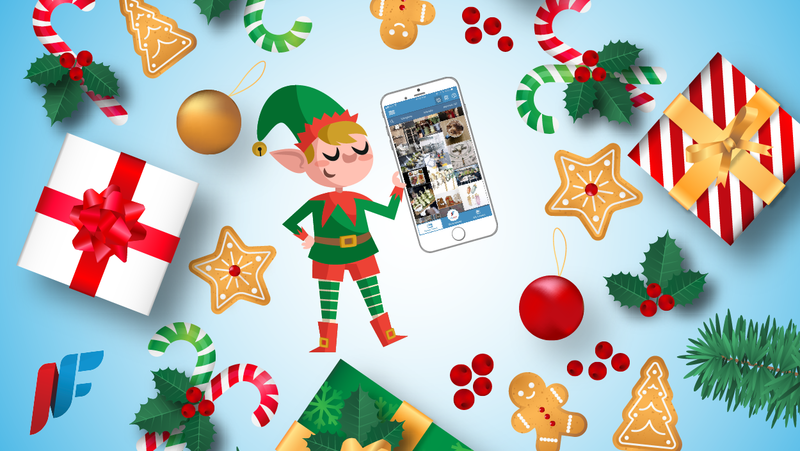 So, this Christmas your friendly neighbourhood app, FlipNpik is the new Santa’s elf.